Harrison Ford is returning to all of his most iconic characters in the Twilight of his career, and that includes reprising Rick Deckard in the upcoming sequel Blade Runner 2049. But now, his co-star in that movie Ryan Gosling has called into question just how much screen time Harrison Ford actually has in this new take on the 80s classic. Blade Runner 2 was not exactly a hit when it arrived way back in 1982, and it's not a movie that immediately screams sequel. Not a lot of people were expecting a follow up over thirty years later, but here we are. And despite it not being exactly asked for, fans are anticipating its release none the less. Arrival and Sicario director Denis Villeneuve is behind the lens this time out, working from a script by Michael Green, who is giving us Logan and Alien: Covenant next year, and Hampton Fancherm who wrote the original Blade Runner. And the movie is being shot by Roger Deakins, who is an amazing cinematographer. The movie is in quite capable hands. And even without Harrison Ford, the cast is stellar. Ryan Gosling is playing the new lead character. And he is backed by an ensemble that includes Mackenzie Davis, Jared Leto, Dave Bautista, Carla Juri, Barkhad Abdi, and Robin Wright. 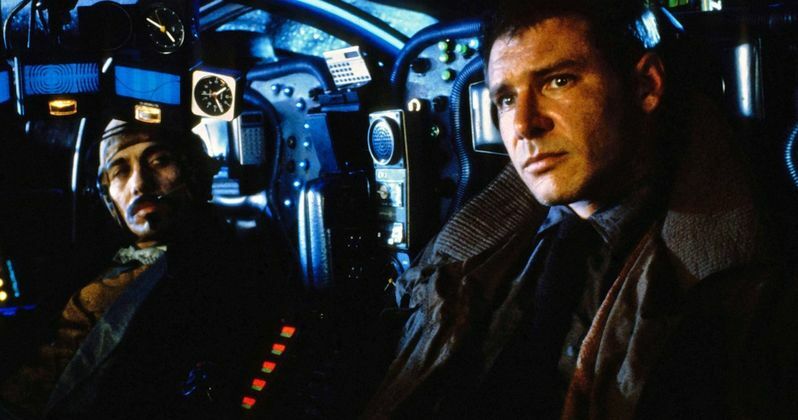 But the whole thing wouldn't feel right without having that connective tissue that Rick Deckard brings. Thus far, none of the story has been revealed. We know the move is called Blade Runner 2049, and that it tales place 30 years after the original, which was directed by Ridley Scott. Scott was supposed to direct this sequel, but decided to do Alien: Covenant instead, a prequel to his seminal 1979 sci-fi horror classic Alien. But he is still aboard as a producer and has watched over the whole thing from the start. The original explored the connection between flesh and blood humans and their synthetic counterparts called Replicants. Ford starred as Replicant hunter Rick Deckard, with many believing him to be one himself. Though it was revealed earlier in the week that an answer to this question probably won't be revealed in the new movie. Now Fandango has caught up with Ryan Gosling for some more intel. And he offers a big hint that we might not be seeing that much of Ford. "I can say that we shot for many months before Harrison [Ford] arrived, and obviously there was a lot of anticipation as to when he would show up and how that would be, and it was just a relief. The second he got to set, he just rolled up his sleeves and we all just got to work. It was a real great pleasure to get to work with him." Does this mean Harrison Ford has limited screen time in the movie? Or did they just shoot around him? Harrison Ford was the first cast member to be announced, and until now, it always sounded like he was one of the main characters. It's unlikely that Ford and Gosling will team up as Replicant hunters in the movie. And it sounds like Ryan Gosling could be flying Solo a big portion of the story. Until we hear more about the actual plot, let the speculation begin.